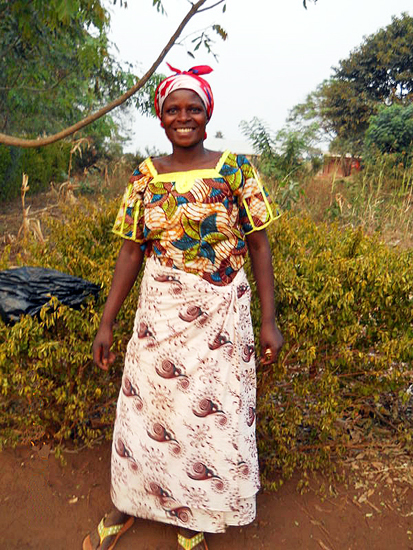 I am by the names Ruth Batezi, a Congolese refugee living in Kyangwali refugee camp. I have 4 children. I live alone with my children. My husband would cain (beat) me every night and I have developed several injuries on my body. He was taken by alcohol but he has now left me and joined women peers. I have lived alone 7 years now. I have suffered a lot by slashing bushes trying to get food. My house was destroyed and I rebuilt it. I have begged to join the microcredit women group to have rest like others. It's where I have my last hope. I have met Antoinette and Benson for several times for help. In farming I hope to harvest 2 sacs of beans that will cost 200,000. I will harvest 1 sac of maize that will cost 20,000. In 1 year my goat will have produced 1 kid and I will have two goats. I will therefore have a benefit of 100,000 after paying the loan and its interest. I hope that I will continue from there and I will also develop like other women in the Microcredit.